Today 66 years ago our Samba was built in Wolfsburg, but today it´s also Julian Hunt´s birthday. 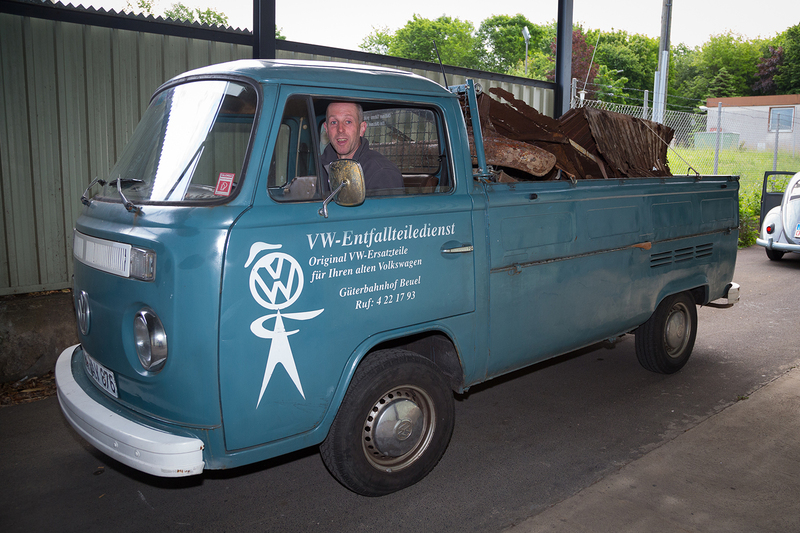 For anyone not knowing Julian, he is the # 1 photographer in the vintage VW-world and proud Barndoor owner himself. 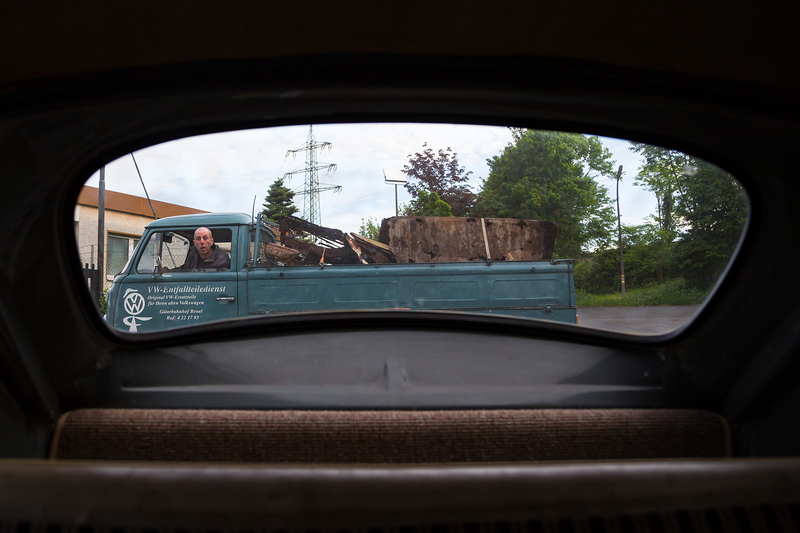 The pictures show both birthday candidates, Julian in one of our ´79 pickup twins driving the ´51 Samba wreck on the lorry bed from our garage in the early morning of May 16th (another special day for Lagwagon fans…) from our garage to the Press presentation where he produced his famous photo series about the Samba. All of us are looking forward to the next presentation of the Samba when both birthday children´s levels of patina will be more equal…. no doubt, Mark is the right one to do the welding job! When he has finished the decklid I will give him the dashbaord next as this is another of his specialties. 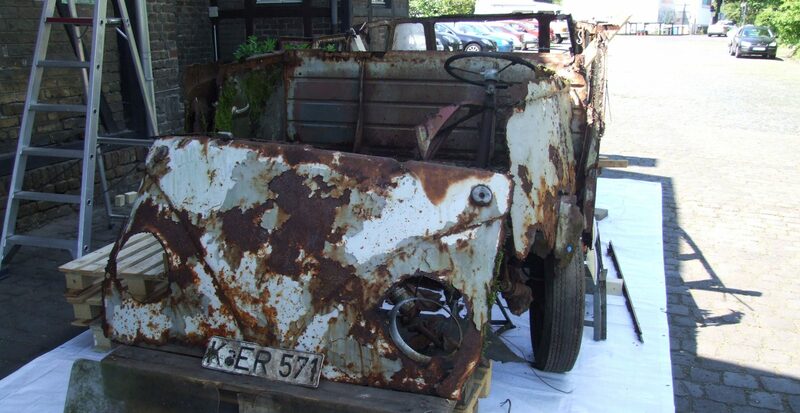 But the base of this Samba is far worse than the base of his Kohlruss. It will be much, much more work. When we want to see this project to be finished in our life time, we have to share the mass of work a little bit. So, for example, I gave the gastank to another restorer, more of this story soon. Keep up the work, looking forward to more updates, Mark Spicer should be hired to do the full welding job on this bus, His Kholruss is a masterpiece.